Discover Reliabilt Windows reviews from customers, installers and contractors who have worked with this company and their window models and series in the past. 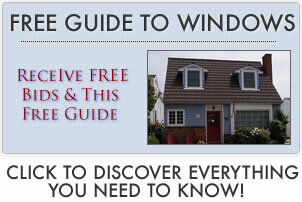 I am looking for windows for my home in Southern California. Later on I am heading over to a local glass store that supplies Milgard windows, I am hoping this will give me some insight into the windows available in my area. Hopefully they have some other brands to choose from such as Reliabilt, PlyGem and Simonton. Any lumberyards that were in the area have closed by now, which leaves me pretty limited on the options available. Try and get some more information on the Simonton Asure range. While they are newer windows, they are good quality and much better than Reliabilt. Personally I would choose PlyGem or Milgard over Reliabilt or Atrium any day. Also go for vinyl. Most vinyl companies will offer a lifetime warranty on all their windows, not all companies offer the same warranty, so pay careful attention to this. Lowes have PlyGem windows and they are reasonably priced. I’ve tried the lumberyards in my area, but they don’t have the vinyl windows available, which are the ones with a better warranty and minimal maintenance. See more Milgard window reviews. I’ve searched for lumberyards in my area of California and haven’t found any. My only solution is a glass company who have Milgard windows advertised. I am hoping they can assist me with some of the other window brands I am interested in, including PlyGem, Reliabilt and Simonton. Good luck with your search, though be careful when choosing replacement windows as not all the names you have mentioned are similar in terms of performance. Reliabilt isn’t the most popular or best performing window, you are better off looking at Milgard, Simonton and PlyGem. I recommend vinyl windows to all my customers as they have excellent warranties, but they are not something a lumberyard would stock, so see what the glass company can do for you. When it came to replacing the windows in our home, I did a lot of research. Eventually we went with the Reliabilt Survivor 7100 range and placed the order last week. Looking at consumer report comparisons, the Reliabilt 5600 series is considered one of the top vinyl windows. I also had a look at the Pella Thermaster, but they only had a 45 rating, where the Reliabilt had a 73. Personally I wouldn’t take what the consumer reports have to heart when it comes to replacement windows. In a majority of cases these reports are very untrue, misleading many customers. Basically what the consumer report does is test products which you can purchase from a store, but they don’t test the many other fantastic window options which you cannot buy from your store, which is why they aren’t really the best choice. You may have found a much nicer and stronger windows at around the same price.